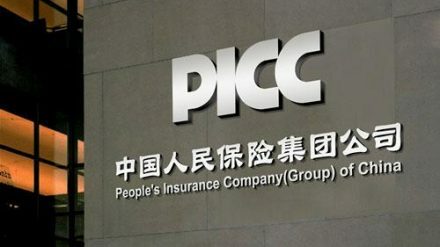 The People’s Insurance Company Group of China’s (PICC) net profit for 2018 was Rmb13.5 billion (US$2 billion), down 19.2% year on year. The combined operating ratio in P&C was 98.5%, which PICC said is “consistently better than the industry average”. There has been increased competition in the Chinese market over recent years that is squeezing some insurers’ margins. Premium income grew 4.7% year on year to Rmb498.6 billion (US$74.3 billion), bolstered by an 11% increase in its P&C arm, while life and health premiums shrank 11.8% and 23% respectively; total assets stood at Rmb1.03 trillion, up 4.4% year on year. PICC’s net profit attributable to equity holders last year stood at about Rmb13.45 billion, down 19.2% year on year, according to the statement. Earlier this month Beijing-headquartered PICC, which is listed on the Hong Kong stock exchange, contributed US$4.7 billion of shares to help China’s state pension fund, while last month longstanding shareholder AIG fully exited the business. PICC’s shares closed down 1.5% to HK$8.83 on March 25, the same day as the results were released. Meanwhile Liu Hong, president and party secretary of PICC Investment Holding, is being investigated for a suspected violation of discipline and law, according to an official statement posted on the website of the Communist Party of China, Central Commission for Discipline Inspection and the National Supervisory Commission. The Hong Kong firm had an impressive 2018 as the sale process continues. CBL, owner of New Zealand's former largest credit insurer, owes around US$118m to creditors. A volatile stock market and low bond yields squeezed China's largest life firm's profits.